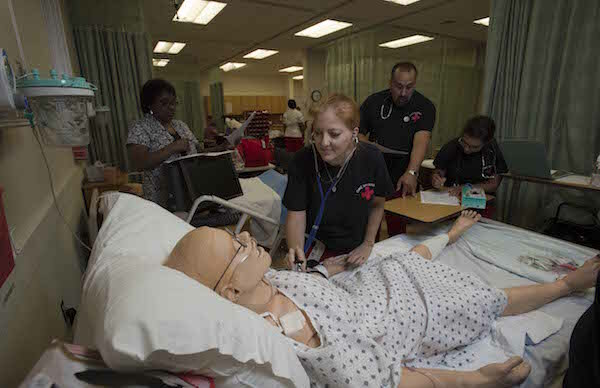 Welcome to the Department of Nurse Education at Del Mar College! This department website provides information about the program and admission requirements. What a great time to be a nurse! There are so many exciting and fulfilling initiatives taking place in our program as we achieve excellence in our mission to produce the next generation of nurses. Our program philosophy of caring, communication, competence and clinical decision making help our students enter the profession of nursing to service the individual patient and significantly impact the health and well being of the people in our community. The quality education we provide is in concert with our health care agency partners and exceptional faculty and staff who have an unrelenting dedication to the success of our students. As the Chair of the Department of Nurse Education, I have an unrestrained commitment to help our aspiring students become the compassionate, highly skilled professional nurses of tomorrow. Application Deadline for Fall Admission is Jan. 31 for AAS-Registered Nurse Education, LVN to RN Transition and LVN Certificate. Application Deadline for Spring Admission is July 31 for AAS-Registered Nurse Education.